Lacrosse, Kings Island, and Chili - what else do you need for an authentic Cincy experience? 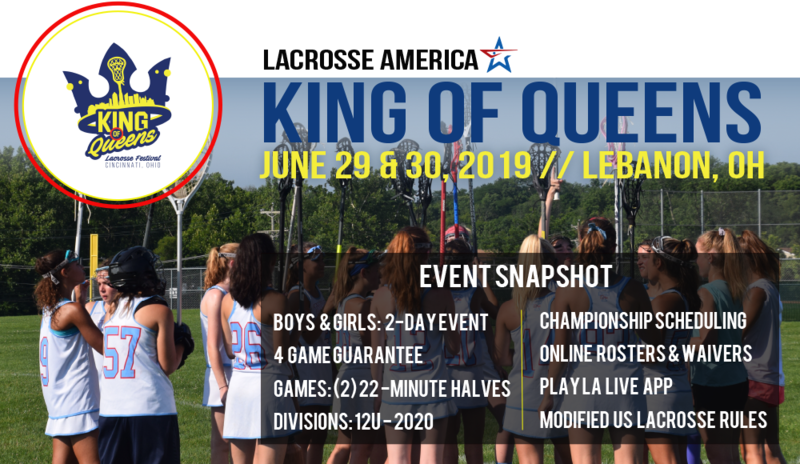 Join Lacrosse America at Heritage Park for the King of Queens Lacrosse Festival. Located just outside of Cincinnati, Ohio, experience all the area has to offer - including a great weekend of Summer lax!